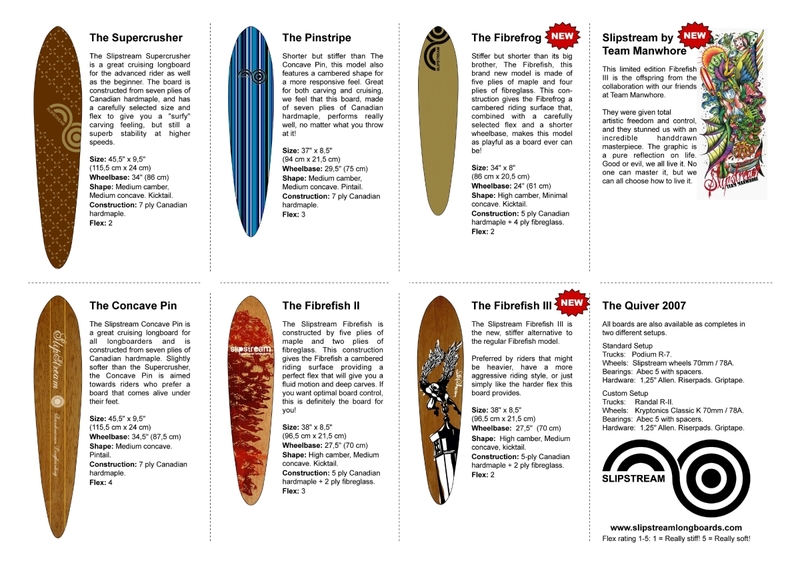 The Bamboo Pin is a smooth and fast classic cruising board. This deck features a more environmentally friendly mix of Bamboo and Canadian hardmaple with a good amount of flex plus a nice concave. hva slags trucks er det på brettet? 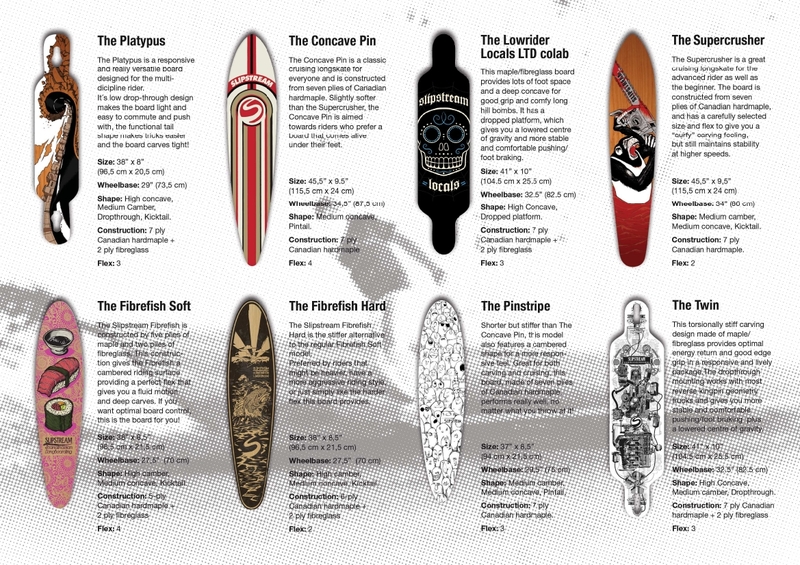 The trucks pictured on this board are Randal R-II 180mm. The wheels pictured on this board are ABEC 11 Flashbacks (70 mm/78A), but a wide selection of suitable wheels are usually available from your local dealer. är den är brädan like stabil i högre hastigheter som super crusher ? This board is a bit softer than The Supercrusher, so it is less stable when compared. Hello, I’m searching for a new deck to my old trucks. I got Paris Trucks 150 mm and I wonder if they fit with the board. If my trucks are to small and also if it’s strong enough for me. I’m 195 cm and 85 kg. Thanks for an answer, please. By the way, IT’S LOOKS AWESOME! Hey Erik, thanks for the comment! In our humble opinion, the 150 trucks are a bit narrow here. We would go for 180:s on this model. The 150:s are preferrable on boards with a shorter wheelbase than this. Okay, then I have to buy bigger trucks. Well, it’s worth it. I also wondering if it’s strong enough for me? I’m 85 kg and don’t know if the board can take that. This board can handle your 85 kgs, no worries! 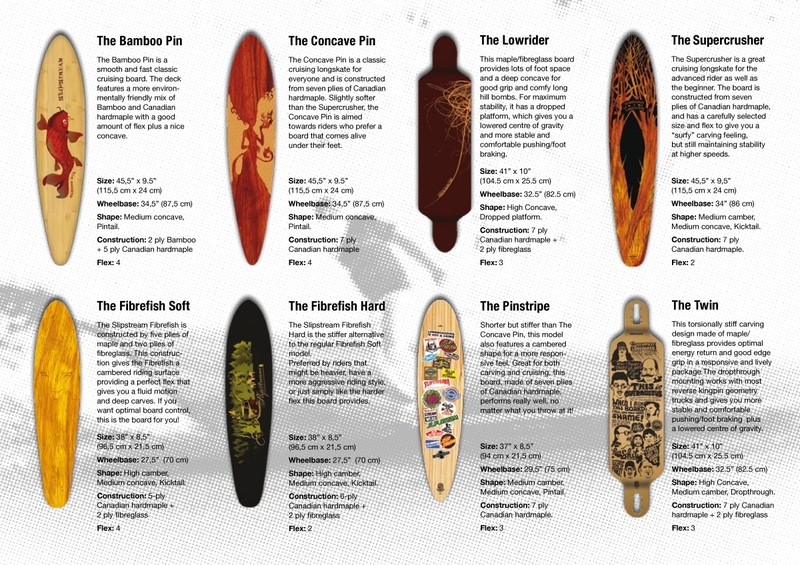 The flex will be on the soft side though, but we have found out that most of the people buying this board like it that way.